Many business owners are familiar with seasonally-driven demand. But for Emma Garland, peak seasons lasts only three months of the year, and there is never any guarantee it will ever come again. Garland is a founding director of The Block Shop, an ecommerce site she launched in 2013 as a companion store for furnishings and decorations featured in Channel Nine’s reality home makeover program, The Block. Garland had deep experience with The Block prior to starting The Block Shop, having been its social media manager at Channel Nine since 2009. 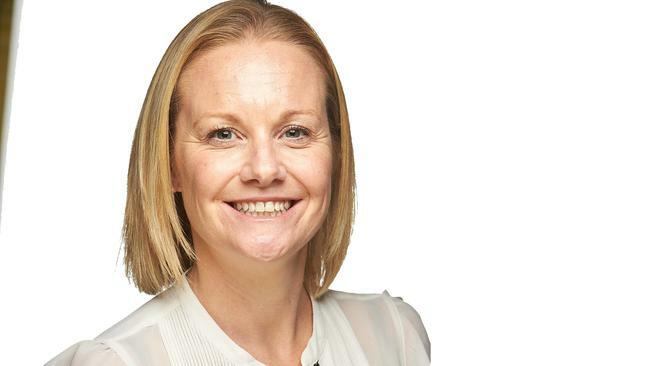 She continues to work closely with Nine’s social media team. While Garland and her team might be frantic during the show’s seasons, things change quickly when it leaves the airwaves. “That is when the hard work really happens in a way, because I have to sustain a business and pay my employees and make sure we can keep afloat during those off-air times,” Garland says. “I have to manage it carefully, but we are getting a lot better at being sustainable. “It is interesting as a marketer to watch if people want to be engaged with the brand once the show’s finished. There is always a period after the show when people switch off, and our messaging needs to be much more around interior styling and new product. Ensuring a life for The Block Shop between seasons has seen Garland invest heavily in SEO, and in finding new brands and products to keep the site fresh, to attract an audience that might be looking for furnishings without having any interest in the program itself. Another key tool is email, which she recently moved across to Bronto’s platform. Now what used to take half a day to put together takes only 30 minutes, with an added sense of professionalism. The tool is also delivering results, including an automated cart recovery service is converting at 33 times that of standard emails. Whereas standard email has been delivering a conversion rate of 0.44 per cent, the cart recovery reminder email is delivering conversion of 15 per cent. That result saw The Block Shop win a Golden Bronto award for Best Abandoned Cart Campaign at the company’s annual Summit in Las Vegas earlier this year. Garland says The Block Shop is also becoming more targeted in its segmentation. In the cutthroat world of commercial television, Garland is deeply aware The Block’s future is only guaranteed so long as it continues to rate – something she has minimal control over. But having worked so hard to build The Block Shop, she is also investigating strategies to ensure it can live on regardless of the viewing habits of the general public, such as the launch of a new blog called Insider Style. “That is our first step in building a brand that is not necessarily driven by The Block brand,” Garland says. “The Insider Style website will look at interior designs, styles, talk to past couples about projects they are going, and talk about DIY.